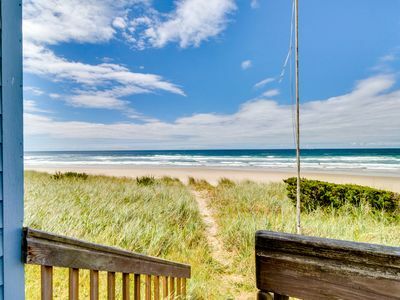 A simple, inviting condo with easy beach access—the family will love it. 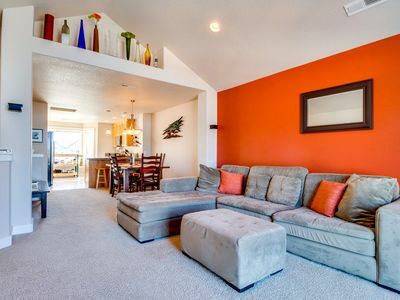 Comfy accommodations for a fun beach weekend are waiting for you in this complex with a shared common area, and you can even bring your fluffy family member! Rockaway Beach's shops and restaurants are an easy walk from your front door, with lots of options to choose from. 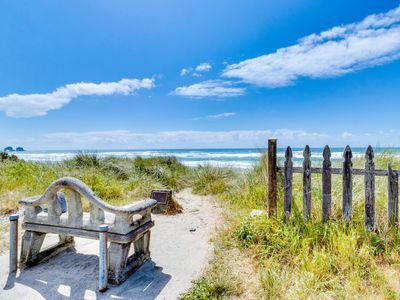 The beach is a short one-block walk to the west, while your car can take you to freshwater fun at Lake Lytle and the fresh air of Seaview City Park in a matter of moments! There’s a futon in the living room. Looking for a fun way to spend time with your friends and family? 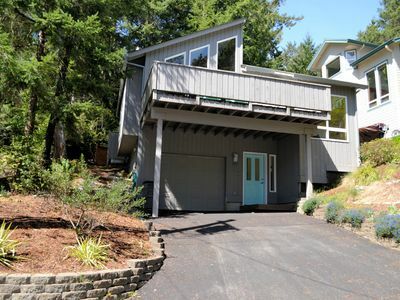 Look no further than this lovely home on Oregon's northern coast! 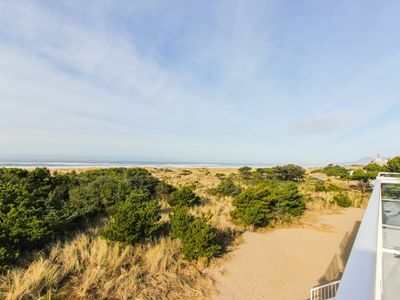 Comfy accommodations await you in this dog-friendly condo, with a great location near the best of Rockaway Beach's man-made and natural wonders. 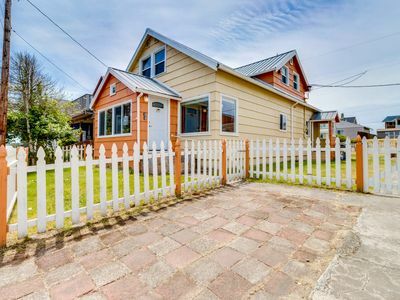 With Rockaway Beach's shops and restaurants within easy walking distance and City Hall right down the street to the south, it'll be hard to find a better home for exploring town than this one! Even better are the natural attractions awaiting you. 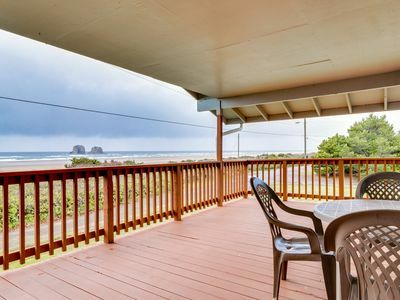 The beach is a short one-block walk to the west, while your car can take you to freshwater fun at Lake Lytle and the fresh air of Seaview City Park in a matter of moments. 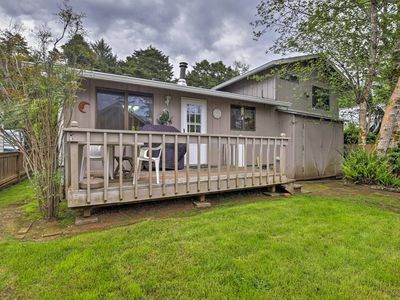 Back at home, watch the swaying meadow in front of you as your pet dog - welcome for a small nightly fee with a 40-pound weight limit - before heading inside. 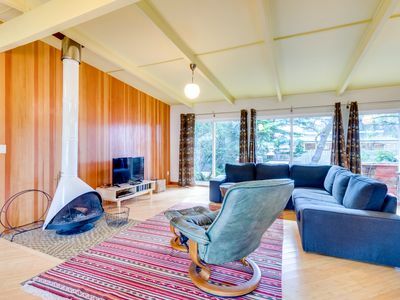 The living area, which features a leather sofa and a flatscreen cable TV, flows seamlessly into the well-equipped kitchen. The two bedrooms lie downstairs, providing space for up to eight to have a good night's sleep. 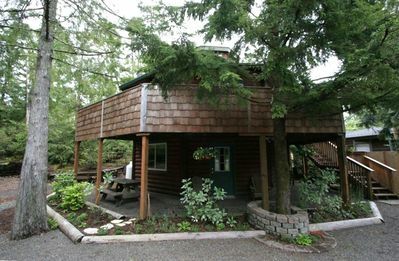 There's no WiFi in this home, which simply means more time to spend with your family and friends. 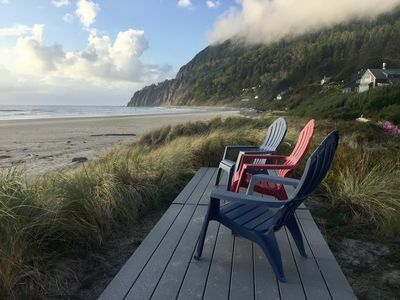 Place your reservation today and make sure your next trip to the Oregon Coast is one you'll always remember! 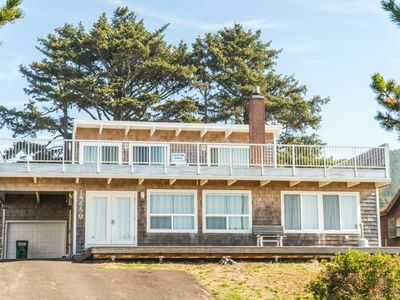 Oceanfront, dog-friendly home perfect for a family beach trip! 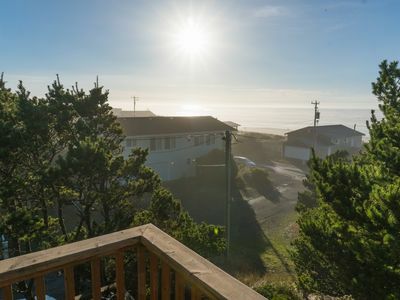 Exquisite Unobstructed Oceanfront Views! 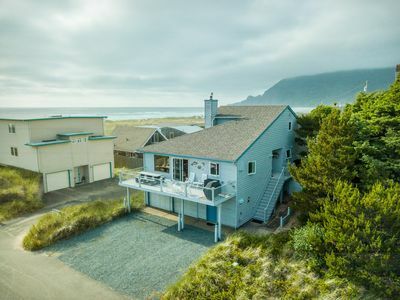 Luxury home with direct beach access! 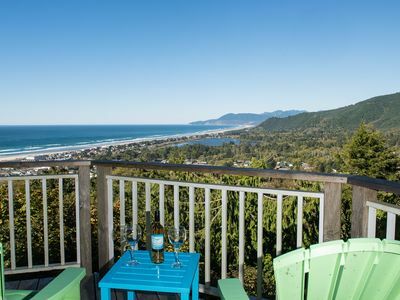 BEACHES 'N GREEN~Gorgeous OCEAN VIEWS $50 OFF per/nt until May 25! 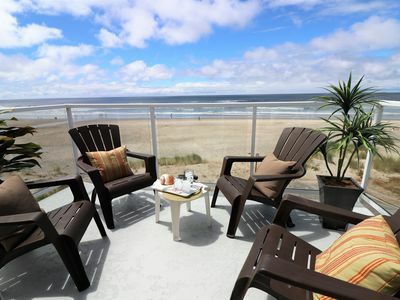 Dog-friendly oceanfront house with ocean views & entertainment - walk to beach! 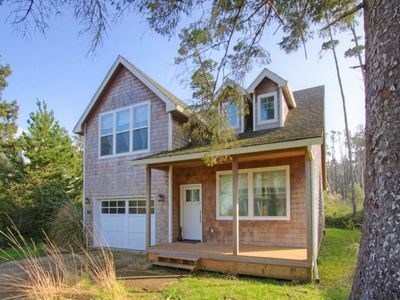 Dog-friendly, chic coastal home near beach w/ large deck & more! 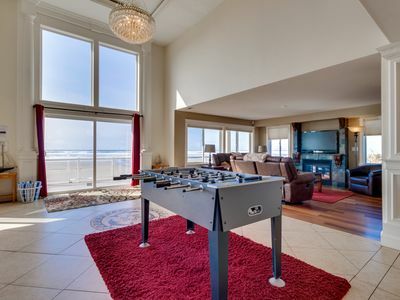 A beautiful home overlooking Rockaway w/ sleeping for 6 & amazing views! 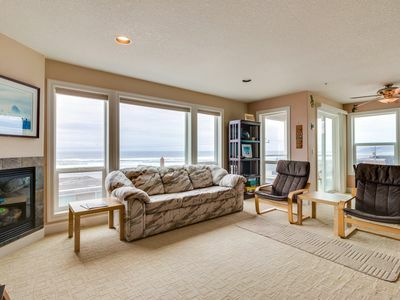 Modern condo with gorgeous views - 1 min walk to beach! 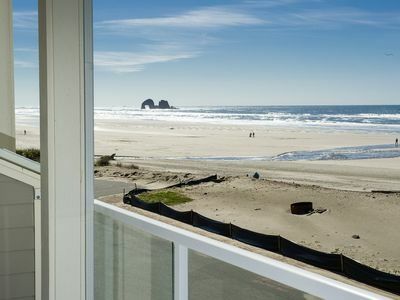 Explore Rockaway Beach from Ruby Junction, a pet friendly oceanview home! 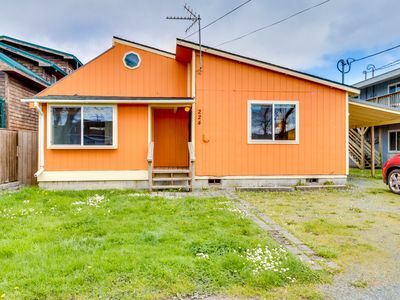 The perfect bungalow for your beach getaway located in Rockaway Beach!